Complete your outfit with this brand new and totally fresh Creature Skateboards short sleeve t-shirt. Made with high-quality materials, this Medium Creature Skateboards t-shirt completes that authentic skater image that can’t be faked. Plus, when you wear this Creature Skateboards Logo Men's Short Sleeve T-Shirt, you can feel good knowing you’re supporting your favorite skateboard brand. Ride hard and look good in Creature Skateboards clothing! 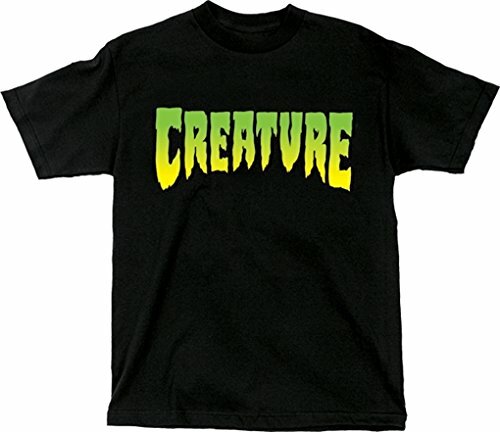 Includes: One (1) Creature Skateboards Logo Men's Short Sleeve T-Shirt from Creature Skateboards. If you have any questions about this product by Creature Skateboards, contact us by completing and submitting the form below. If you are looking for a specif part number, please include it with your message.